Yes. It’s a Thursday. 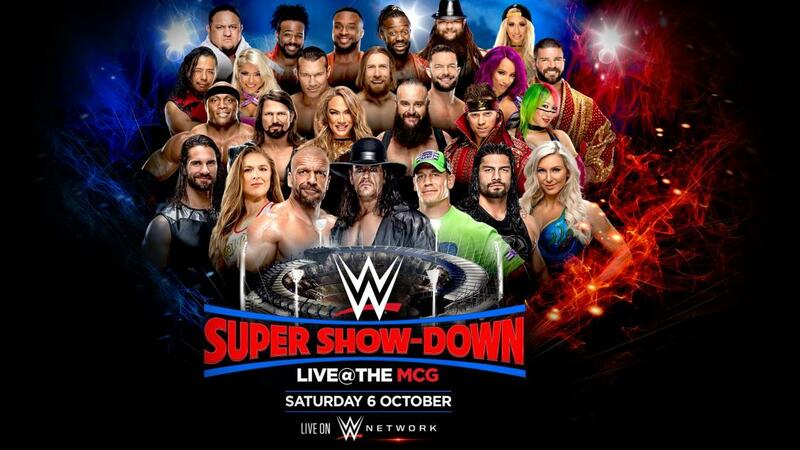 Yes there’s now a post on the betting tips for WWE Super Show-Down. It feels weird posting now but needs must. It’s going to go down at 9am on Saturday from the MCG, and there’s a fair few markets available from a lot of bookmakers. So with that said, here are our WWE Super Show-Down betting tips! Here are our best tips and our best predictions out there. One match has strange odds. I really think Asuka & Naomi will beat The IIconics. Most markets seem to suggest that they are outsiders. But Asuka is still strong and they quite like seeing people lose in their home countries. The best odds you can get is 6/4 with 888 Sport. I can see a better night for the other Australian. For Buddy Murphy to beat Cedric Alexander is quite safe odds, but also quite long. I can see this being the only title changing on the card. For The Best Kept Secret to become Cruiserweight Champion, the best odds are 4/7 with Betway. With the Cruiserweight Championship changing hands, I cannot see two belts changing hands on the show. As a result, the price for Becky Lynch beating Charlotte seems rather good. For Straight Fire to retain, the best odds you can get are 8/15 with Paddy Power and Betway. Finally, for a massive punt, I do think The Riott Squad will beat Ronda Rousey & The Bellas. Nobody agrees with me, but it needs to have something happen to set up Rousey vs. Nikki at Evolution. The best odds you can get is 11/2 with Betway. Here are the best odds for all the other matches. For The Undertaker to beat Triple H, the best odds are evens with 888 Sport. For Team Ziggler to beat The Shield, the best odds are 5/2 with 888 Sport & Betway. For AJ Styles to beat Samoa Joe, the best odds are 2/5 with 888 Sport. For John Cena to beat Bobby Lashley, the best odds are 1/5 with Betway. For Daniel Bryan to beat The Miz, the best odds are 89/200 with 1xBet. For The New Day to beat The Bar, the best odds are 2/13 with 888 Sport. If you are outside the UK be sure to check out our International Wrestling Betting Partners. Those are the odds and our predictions, what are yours? Please leave your thoughts in the comments below! Be sure to get the latest WWE Betting Tips, Predictions and Wrestling News delivered directly to your inbox for free! Be sure to get the best odds and the best prices by subscribing to the site. El Jugador is the mysterious tipster behind Wrestling Betting. A long time wrestler on the Mexican Lucha Libre scene, he retired to the UK and started betting on Wrestling.